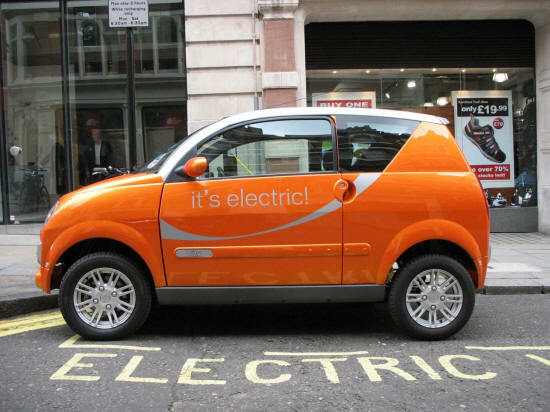 electric cars | En Avant! When we promote buses as a greener alternative to car travel, we are increasingly aware of the ageing, dirty bus lurking in the corner of the room, spluttering out toxic emissions and spewing particulate matter every which way – undermining our arguments at every turn. We all agree that if we are to maintain the high ground over the car, these buses have to go, and they have to go as quickly as possible. The imperative is hastened by the fact that it’s intrinsically easier to green small light vehicles like cars than it is large heavy vehicles like buses and HGVs and that politicians of every stripe see plug-in cars as a relatively pain free way of going green without alienating the CBI or the voters. The fact remains, however, that electric cars and the like may make driving kinder to the environment but they don’t require people to make the fundamental lifestyle adjustments that are required if we are serious about tackling climate change (living more locally, for example). They also do nothing to reduce congestion on our roads which costs nearly £11bn annually in our urban areas alone. In these areas the bus wins hands down and, with the phasing out of older models and greater use of new, greener technology, it has the opportunity to firmly cement its environmental credentials. 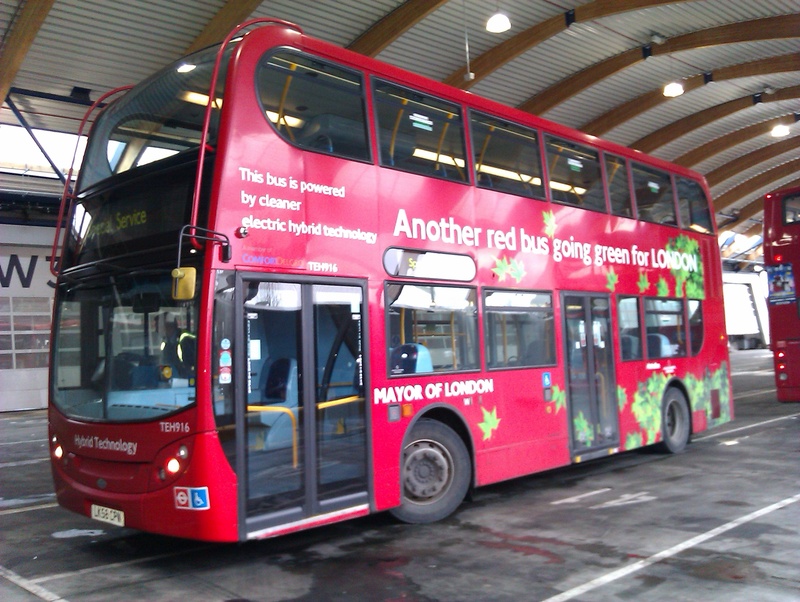 This is an opportunity that bus manufacturers and operators are increasingly taking up – from the high profile Greener Journeys campaign to the 56 hybrid buses taking part in the large scale London trials – but how are PTEs engaging with this agenda? For starters, PTE areas have achieved considerable success in the two Green Bus Fund bidding rounds. As a result, our areas can expect to receive in excess of £19m from the fund for over 260 buses. A number of the winning bids were submitted by PTEs themselves, with GMPTE securing the largest number of vehicles (66) of all the bidders in the first round – all destined for use on their subsidised services. Indeed, overall Greater Manchester residents can expect to see almost 140 green buses in their midst. 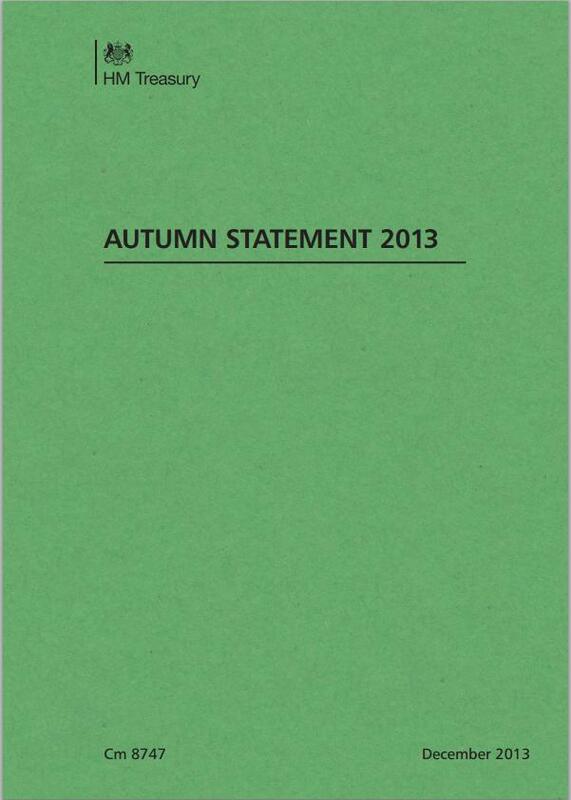 PTEs are not new to the green bus fray and are by no means unprepared. Many have a wealth of experience of trialling innovative technologies, and have learnt the lessons from these, from the now defunct diesel-electric hybrid buses that formed the Quaylink service in Newcastle and Gateshead to Merseytravel’s 15 years trialling alternative fuels and 10 years investigating pure electric buses. In addition, pteg has commissioned and published a number of studies to help PTEs make the best choices when it comes to greening urban bus fleets. The most recent additions to the evidence base include a report by Atkins which named improvement in bus fleet efficiency as one of seven top-scoring carbon emission reduction measures PTEs could take and a report by TTR into bus idling and emissions. The TTR report looked at the contribution of behavioural, network/infrastructure and technical factors to emissions from idling buses and recommended the best approaches to tackling these. It followed on from another pteg commissioned study from TTR assessing the costs and benefits of different fuels and technologies with the potential to reduce pollution and carbon emissions from our urban bus fleets. All of these reports are available to download from our website at http://www.pteg.net/Publications/Reports/Reports.htm. More informal good practice sharing between the PTEs on green buses is also underway. 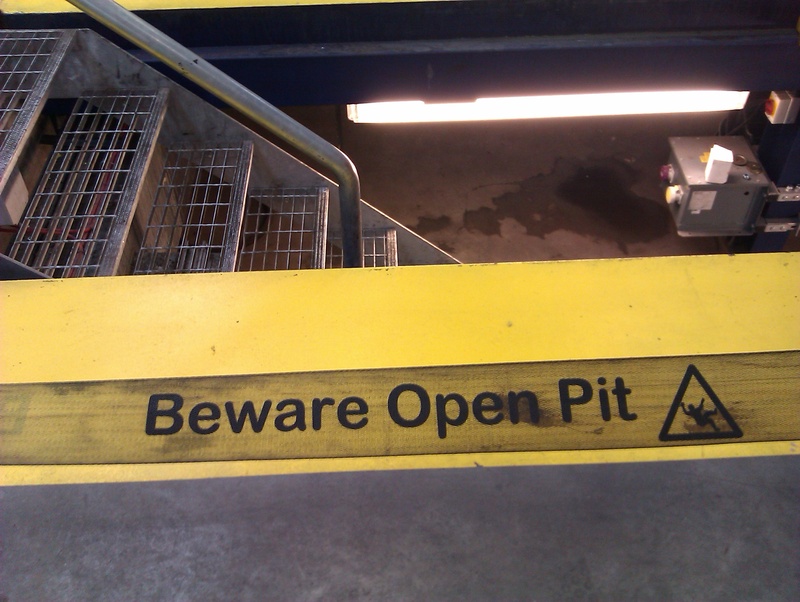 Just this month, associate pteg member Transport for London played host to representatives from across the PTEs and beyond who took part in a visit to West Ham bus garage to experience first-hand some of the hybrid buses on trial in the capital. 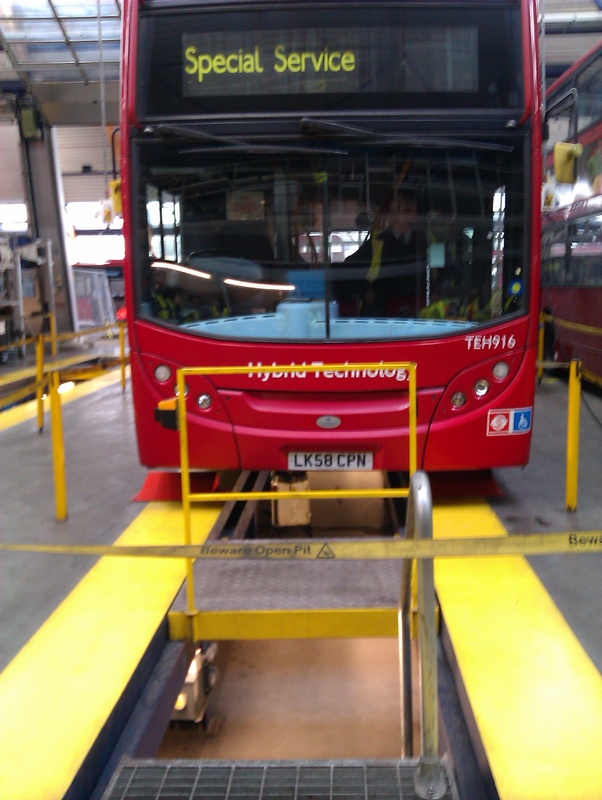 Equipped with nifty grey ‘bump hats’ and high vis jackets, we descended enthusiastically down the inspection pits to take a look at the technology beneath these vehicles and were very amused to be able to say that we’d stepped under a bus and lived to tell the tale! Our members were full of questions on the technical details of the vehicles as well as, crucially, the results of this extensive review of most known hybrid bus systems. As green bus technology filters further into the mainstream, pteg is determined to continue to play a key role in its development and implementation and to banish the image of the dirty old bus for good. The future is bright, shiny and clean and we want to be part of it. This article was originally published in Coach and Bus Week. I don’t go to that many general transport conferences these days as I fear I will feel like I’ve heard too much of it too many times before. So it was a pleasure to go to an LSE Cities evening event last week on electric mobility. A get together of an eclectic and international mix of corporate strategists, sociologists, architects, academics and technologists which was full of insights and the satisfying intellectual click of ideas coming together that hadn’t come together before – or at least not in my head. The future of transport is sharing / renting and not owning. You don’t own the bus or train you use now. In the future you won’t own your car either. The economics of electric cars work for leasing and renting not for ownership (the cost of vehicles and infrastructure is too expensive). The future of transport is one mobile phone equals one transport system. Your mobile will give you easy access to cars, bikes and public transport. The future is door-to-door and carbon free. In young peoples’ heads the future is here now. Internationally young people are rapidly moving into a post-ownership mentality. They can’t afford the baby boomers ownership model (houses, cars etc) and for cars why bother? Cars are universal, functional objects – the status and aspiration around car ownership is seeping away. The car is a commodity rather than a symbol of expression and why be lumbered with one type of car that you own– when you can have any vehicle you want – right now – for hire by the hour. Young people are also ‘post-privacy’ which also fits with a monitored and rented transport world rather than a private and owned one. The car ‘club’ concept was uncool and now it’s not. Car clubs used to be resonant of drab, do-goodery – aspiring late 20th century individuals didn’t join this sort of club. But now the ‘club’ fits with the zeitgeist of joining groups on social media so it’s making a marketing come back. DB’s biggest electric car users are 30-55 aged family men with a geeky side and with no interest in public transport – but interestingly once they start using the electric cars they become converts to the rail service element of the total mobility offer. Electric cars limited range is good news for public transport (as it can’t substitute for long distance public transport), they can also act as smart storage for electricity during the day as electric car use is highest during the electricity grid peak and station car parks make good charging points. You are not in the public transport business anymore you are in the mobility business. Big is beautiful in total mobility. You need to think big, spend big and act big to get significant total mobility offers up and running. Bikehire schemes for example don’t come cheap (look at London – look at any of the successful ones). German railways (DB) has set up an innovation unit and a separate subsidiary to drive this stuff forward. The subsidiary (with a staff of 800) is now working with entities like the German post office, large German private companies, and the non-weaponised part of the German military on its fleet management / car sharing operation. Not only do transport providers need to link up with each other they also need to link up to car manufacturers, telecoms companies and energy providers. It’s only at this scale that all the pieces of the low carbon, door-to-door jigsaw can be put together. And then there’s housing providers eg Housing Associations providing electric car sharing options. Will the US and UK miss out? If we can’t even integrate inter-bus ticketing in UK cities (except London) how on earth will we ever be able to offer wider total mobility packages? If the electric car isn’t put in the context of an attractive public realm (for walking and cycling) and integrated, attractive public transport then the electric car could go rogue and lead to a transfer of short trips from public transport, walking and cycling to the car. There is also a danger of the UK (outside London) ending up with weak, partial and over-lapping mobility offers by a range of private and public sector providers. But then again which country did the biggest and boldest road user charging scheme on the planet? High land values = high parking charges. Coupled with tight historic street patterns this might make cities like London naturals for total mobility. Meanwhile, state-side no one wants to pay for transit infrastructure anymore and car-based urban sprawl has largely triumphed. The bus, the bike, pedestrianisation on a neighbourhood by neighbourhood basis offers some hope – which is the way some of NYC is going. Should we be turning our cities into blank canvasses for the consumption of mobility? In our rush to try to ensure that total mobility is as sustainable as possible will we sacrifice what we like about the urban (its unpredictability, walkability and diversity)? Shouldn’t we start with the urban realm rather than the facilitation of total mobility at any cost? 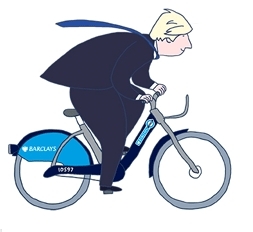 Total mobility offers (eg London hirebikes) often end up being city centre status symbols for all concerned, whereas really it’s the suburbs that they would come into their own – World City centres can look after themselves.